We are committed to having you own one of the best cared for boats on the water. Comprehensive management and preventive care of your boat is now facilitated with utilization our re-designed Vessel Management Portal, availability of our DIY capability and access to the capabilities of our alliance partners now at Tower Park. Cloud-based boat profile for ready access to all information about your boat systems, equipment, parts, interiors and hull elements. Activation is instituted with the initiation of a West Coast work order. We will work with you to add a list of project items for completion (Task List Detail) and the completion of your boat equipment list detail (see attached guide). Contact us for a demo and discover the leading maintenance management specifically enhanced to facilitate full utilization of the one-stop shop capability driven by West Coast Canvas and Yacht Services. This is just another assist from your one-stop shop supplier. If you require a more advanced cloud-based vessel management system that provides maintenance schedules, alerts and digital manuals then we can facilitate access to Vessel Vanguard and support your implementation. partner logos under SERVICES) to help you address your needs and find the right solution in the designated areas outlined below. Our DIY offering is thus not a store but an application oriented service, limited only by the extent of your specific requirement. We provide the product, accessories and guidance; you supply the labor. Just contact us and describe your DIY needs. We will work with you from there. Our fabric expertise will enable all DIY projects to have access to the finest and most appropriate material solution. 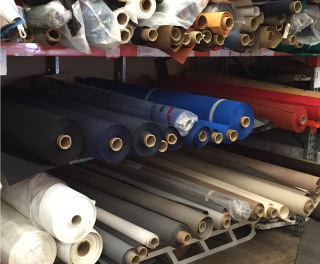 Whether it be from our large inventory of upholstery materials for interiors and exteriors or Sunbrella for exterior canvas needs, we will help you tailor your selection to your specific needs and then make available all the required supplies to execute your project. 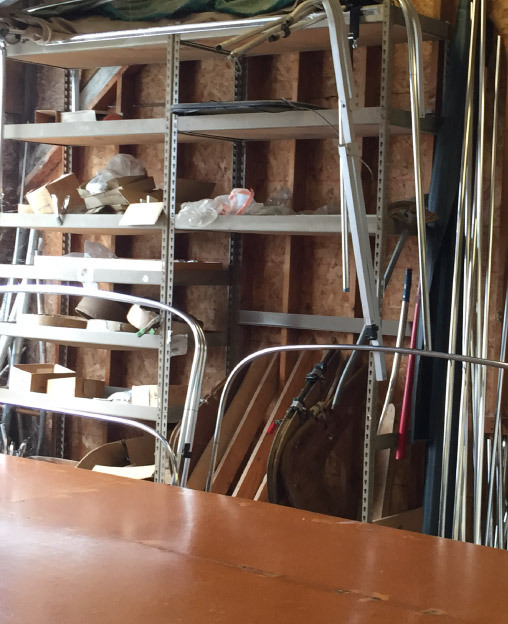 We can consult on everything from skiboat seating, patio boat upgrade and yacht interior refit. 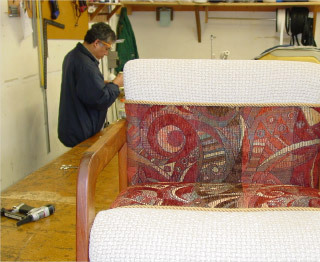 And you can always bring us your seat and we will upholster it for you to install. Whatever is best for you- have it your way. Our over 3 decades of being Canvas specialists enable us to make available a complete breadth of canvas solutions. 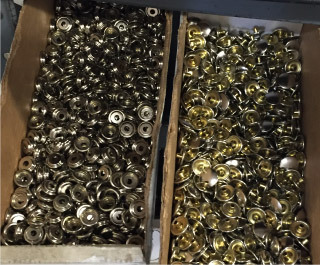 We can offer a broad variety of canvas, marine fasteners, enclosure windows, zippers, thread, hardware and fittings. 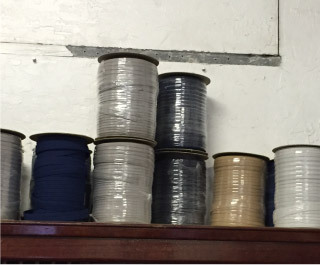 We will also bend tubing and provide custom bows for your application. Our Canvas Care Program is a further extension of helping you participate in more of your boat care. Whether it is a bimini top, boat cover or full canvas enclosure, we can be your canvas project partner. We can be your central source for all interior flooring needs. Our breadth of products and extensive project experience enables us to consult with you on your project. 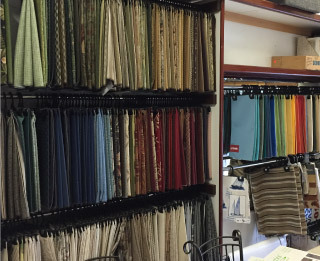 Whether it is standard marine carpeting, premium Corinthian materials, high grade Infinity flooring, upgraded Lonseal covering or teak & holly, we can provide it and address your need. We know what it takes to install; from adhesives to binding to trim; we can even cut seams and thereby help you deliver the solution in any way required. Our broad window expertise, headliner knowledge and window covering understanding constitute a unique offering specialty which differentiates us. 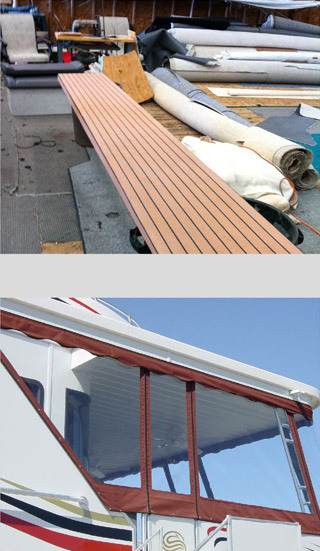 Whether you want to find a leak, replace a window, redo your headliners or upgrade your window coverings, we can provide the solution with custom trims and extrusions and a large inventory of marine specific woods. Let us know what needs to be done and we can define the right product and materials even down to the staples, foam and glue. Whether the need is flooring material, hardware or seating, our numerous and various projects over the years has resulted in a knowledgebase that enables efficient guidance in addressing a broad selection of requirements. 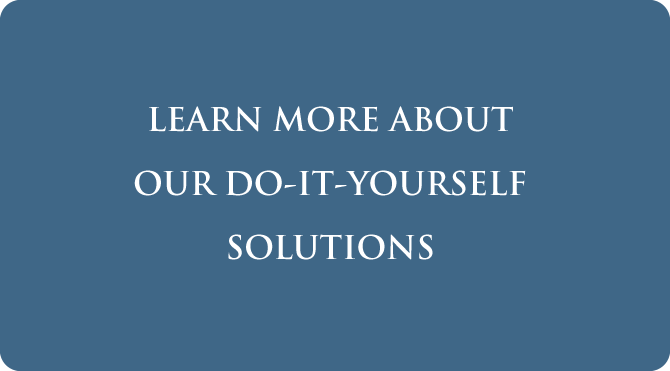 Our access to a large inventory of solutions enables an appropriate determination of approach without regard for product availability limitations. Infinity and Flexiteek solutions are amongst the many available approaches. Let us consult with you about how to execute your project.